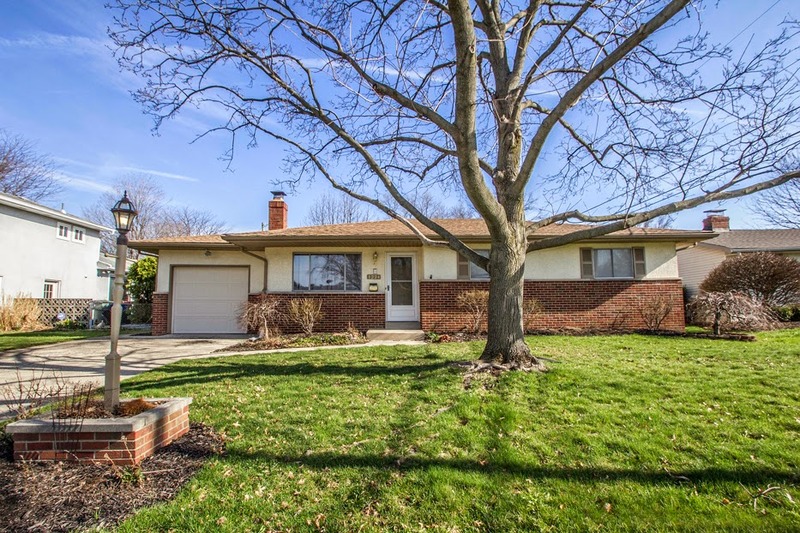 …nestled onto a fenced yard with covered patio and extended drive. Located across from the school and in front of the community swimming pool! Ceramic Foyer opens to the Living Room. Giant, fully applianced & updated “Country” Kitchen with white cabinets. Master Suite with private, updated Bath. Hardwood floors in Bedrooms. Finished Basement has Family/Recreation Room with stone fireplace and partial Bath. Updated roof, water heater, interior paint, Kitchen, Baths, intercom system and more! 3 BR’s & 2 Baths. Nearly 1,100 SF! North Columbus area! Only $109,900!